People visit London for a variety of reasons, but one of the most common is that visitors want to see history up close and personal. From the Tower of London to the HMS Belfast, London is full of history, inspiration and innovation. Another major drawcard for the fashionable set, is the unparalleled shopping opportunities in the high-end boutiques and pulsating high street stores. It was this reason which saw us recently featured in an article by Expedia, 'Stay in Style with Australia’s Top Fashion Designers'​. 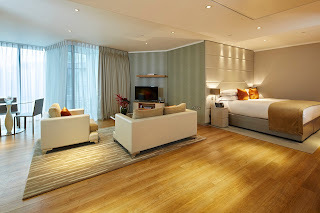 Cheval Three Quays is located in the heart of London. Our unparalleled combination of location and stylish accommodation make The Cheval the obvious choice for fashionistas, or any other type of explorer, the world over. Our apartments offer spectacular views of the River Thames, Tower of London and Tower Bridge, as well as separate living and dining areas so you can truly relax on your trip.